The SPIDER ICT4D network creates in Cambodia an environment of collaboration among NGOs that will lead to more effective and sustainable ICT4D initiatives around the country, as well as to documentation about them and lessons shared that can be used by others. 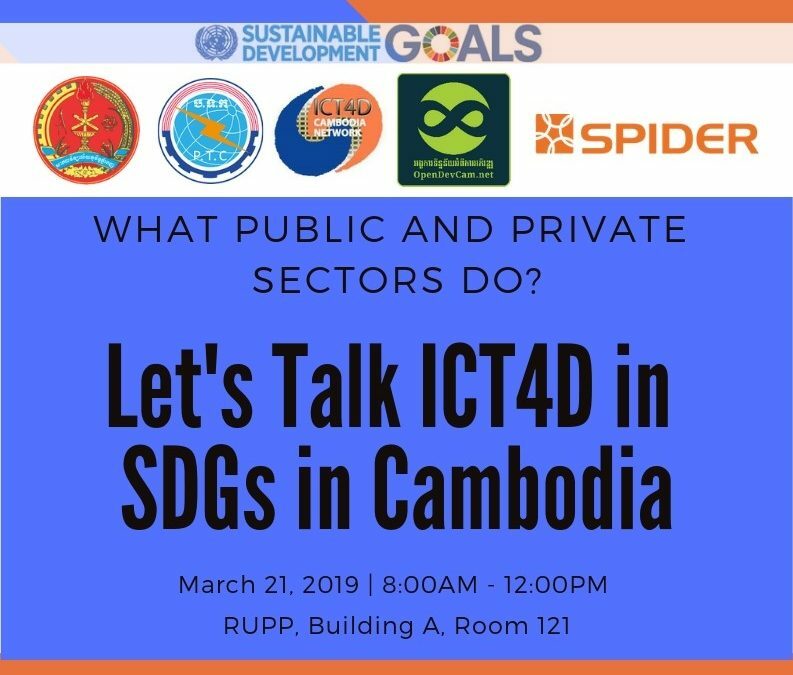 ICT4D initiatives around the country become more effective and sustainable, due to an environment of collaboration among NGOs that are applying or considering applying ICT for development purposes in Cambodia, supported by available information and channels of communication. The network brings together the NGO ICT and non-ICT practitioners in each sector together to understand ICT4D initiatives that are implmenting, and for whom it may wish to learn and using technology for solving their development projects, as well as possible collaboration/networking. The objectives of its activities help practitioners both tech-based institutions and users develop new ideas and understand approaches that they can make their projects sustainable, and more realistically the problems they are trying to solve. In 2018, the network was decided to move on to a round hosting (Rotation) lead by primarily partners organizations who founding the network. 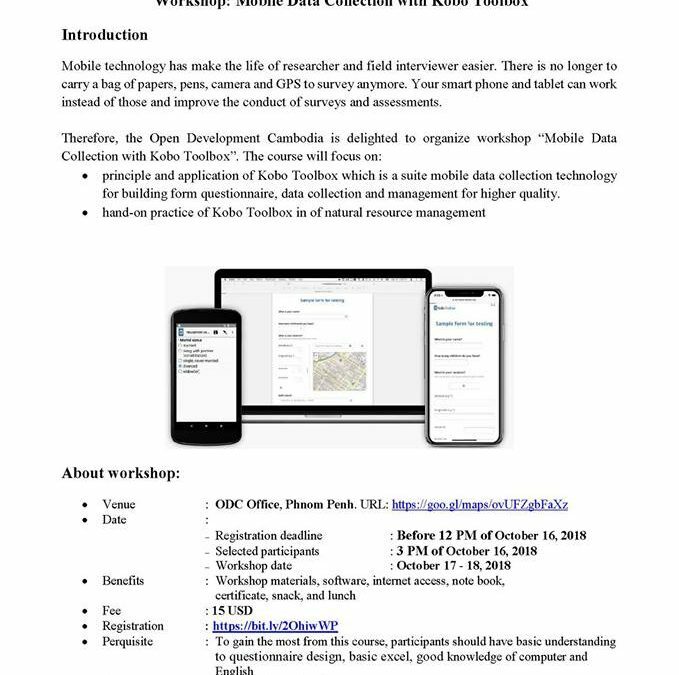 Currently, Open Development Cambodia (ODC), is hosting the lead of the project which is supported by SPIDER from 2018. The network together with MoEYS, ICT and non-ICT-related education NGO, and practitioners to discuss implementation of technological solutions in each project and sharing experiences in efficient ways that can help other practitioners in education project to improve their project plans through ICT4D. We restart this communication and try to organize meetings regularly to ensure that NGO in health projects have as much information as possible about what is happening in mHealth in Cambodia, the results of the different projects, and the technology that is available for mHealth projects. ICT for Social advocacy, the ICT4D Cambodia Network/ODC in collaboration with CCSS-USAID implemented by EWMI, organizing a series of quarterly meetings of all stakeholders employing and wishing to learning ICT solutions in support of social advocacy projects in Cambodia.